SWAT TEAMS, FBI AGENTS, DEA AND LA COUNTY LIFEGUARDS! This just in from lifeguard, paddler, Wahoos! devotee and County Recurrent freelance correspondent, Adam Sandler. 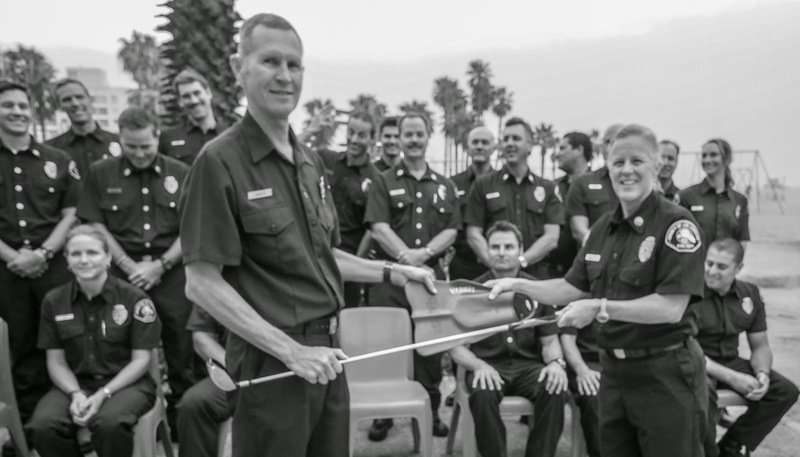 Imagine 5,200 police officers and 20 LA County Lifeguards battling each other for supremacy in the extreme heat of the desert while wearing only running shorts. No, it's not the latest TV show from Greg Bonann. 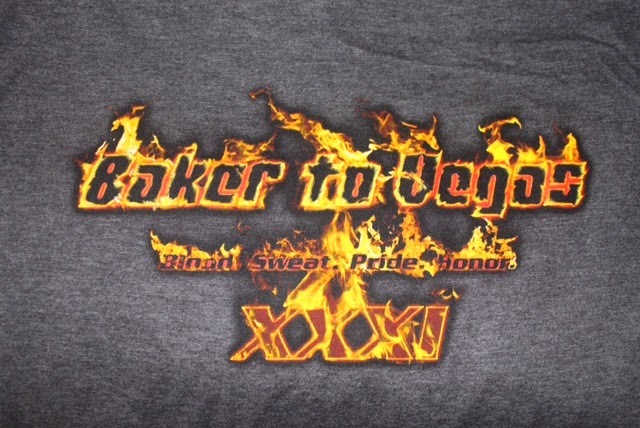 It's the annual Baker To Vegas Challenge Cup Relay Race, which was held this past weekend. It's where 262 teams run 120 miles -- broken into 20 legs ranging in distance from 3.7 to 10.7 miles -- while traversing flat terrain, slight hills, not-so-slight hills and hot highway asphalt in a quest to be the fastest team to complete the course. 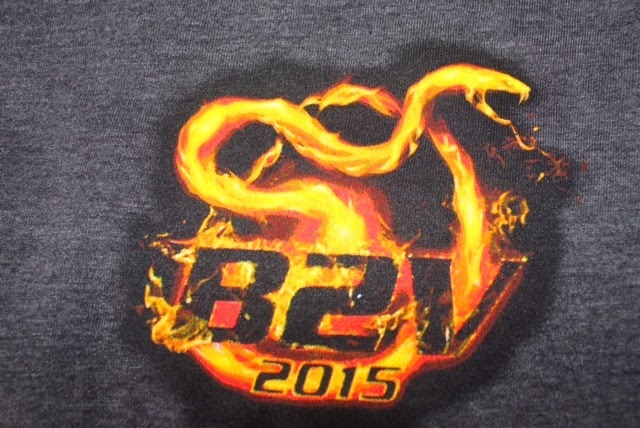 As you know, the "B2V" race is the brainchild of two LAPD officers who started it 31 years ago to foster camaraderie among the various law enforcement departments. I volunteer as a Medic for the race each year. (More than 200 medical personnel cover the race, among the thousands of other volunteers). 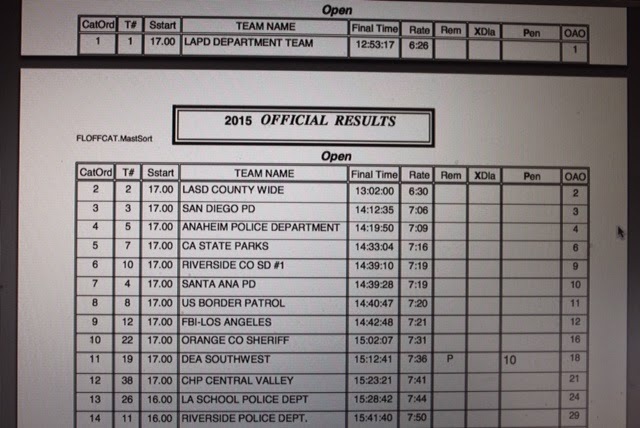 Typically, one of the LAPD Teams boasts the fastest time. This year the top time was 12:53:17. That's 12 HOURS, 53 minutes, folks! But, perhaps just as impressive was the team of LA County Lakes Lifeguards who clocked in at 15:01:33, landing a 2nd Place finish in the Invitational Category, and nabbed a 15th Place Overall finish. 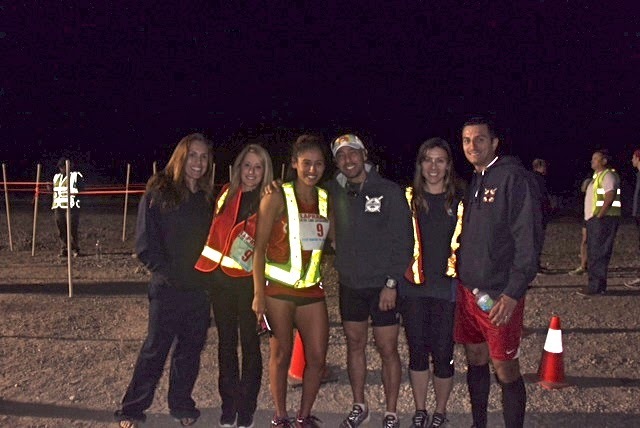 LA County Lakes Lifeguards - team members at checkpoint 13 at 0120 hours Sunday. Safety First: all runners wear lighted (red blinking LEDs) reflective vests. 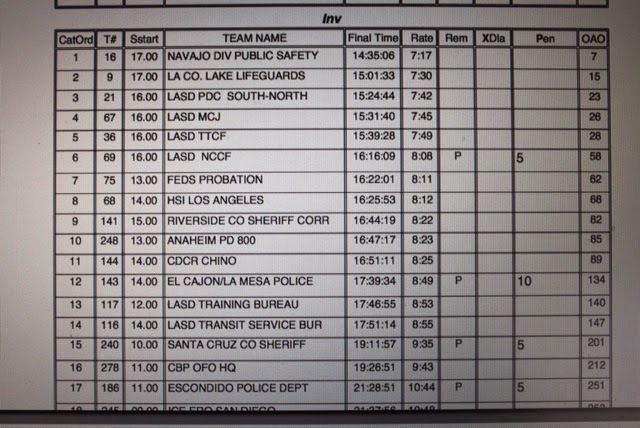 That's 15th out of 262 teams that were comprised of gun-toting bad-asses from the ranks of numerous teams from the LAPD, LASD, CHP, FBI, DEA, Secret Service, Border Patrol, and many others! Runners from police Departments from Queensland, Calgary, South Wales UK and the RCMP (Mounties) also joined the fray. 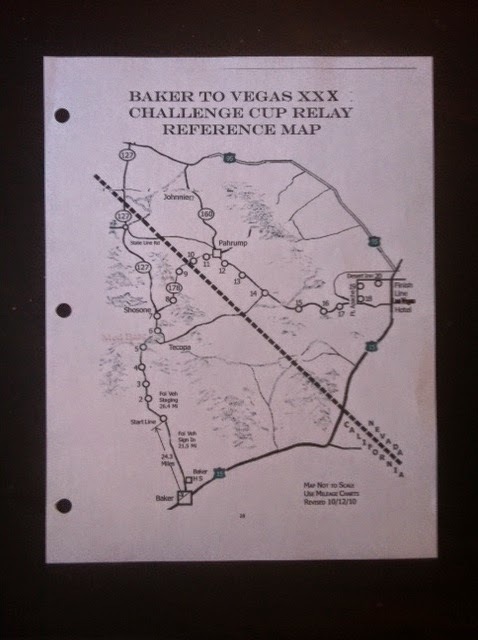 (Link to Results Page: http://bakervegas.net/wp-content/uploads/2014/09/FLOFFCat-2015.pdf). To be fair, and in the interest of full disclosure, we should also give kudos to the California State Parks team, which also boasts some lifeguards among its gun-toting, peace office ranks. The team landed in 5th Place in the Open category and 6th Place Overall with a time of 14:33:04. 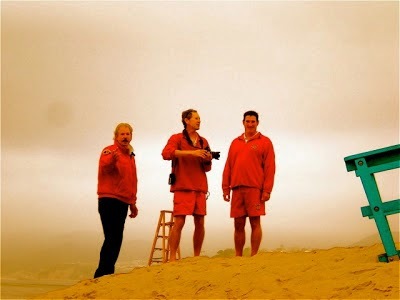 We should extend a sincere WELL DONE to our lifeguard brothers, and to all the teams. Story, text, photos by, courtesy of and Copyright Adam Sandler 2015. Used here with permission. Don't go Harry!... The Pizza Party! Dateline: Monday, March 16, 2015 at 1600 hrs... at CSHQ, an informal reception was held with pizza from Bruno's Ristorante to honor the 28 year career of OLS Harry Varnas! Here are the photos we took to share with those of you who could not make it. Best wishes and Congratulations to Harry! Below, Angus, Will and Steve. Photo by Shelly Butler. Look who else showed up!... none other than the Godfather of Ocean Lifeguarding, Harold Dunnigan! Below, would you believe... a pizza sandwich?!.. And Charlie makes Three! What a turnout! 10-4, Harry! Happy Trails! Thanks for the memories and the pizza! Say it ain't so, Harry! We are going to have to reset the clock!... because time stopped when this was announced! I don't know how the Call Car staff is going to adjust in Central Section. The Dive Team might as well start over from scratch! It is just not going to be the same without Harry! Above, Harry, at left, with OLS Sam Bertolet at Will Rogers Tower #14, Summer of 2010. Harry: You've earned it, however! Congratulations and Well Done! A trip down memory lane is certainly in order and here are a handful of photos to celebrate Harry's nearly 40 year career that started in 1977! 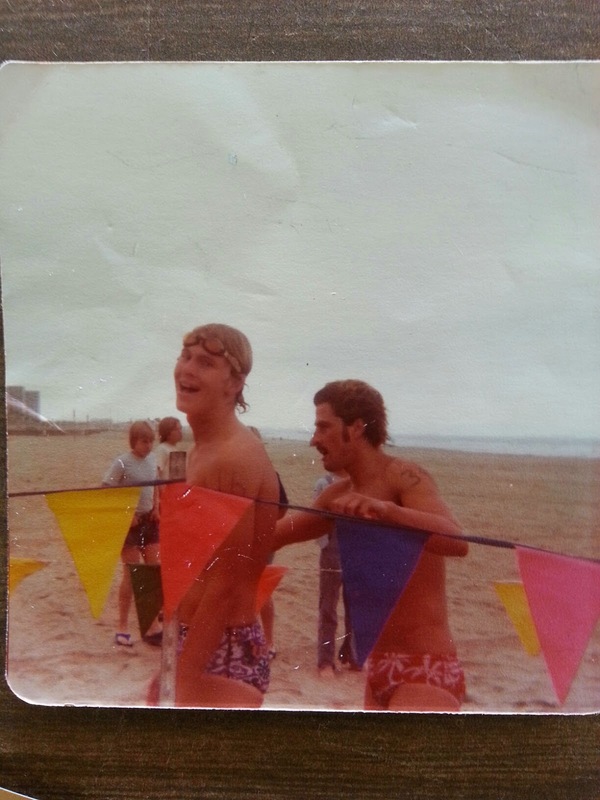 Below, Rookie swim finish 1977. 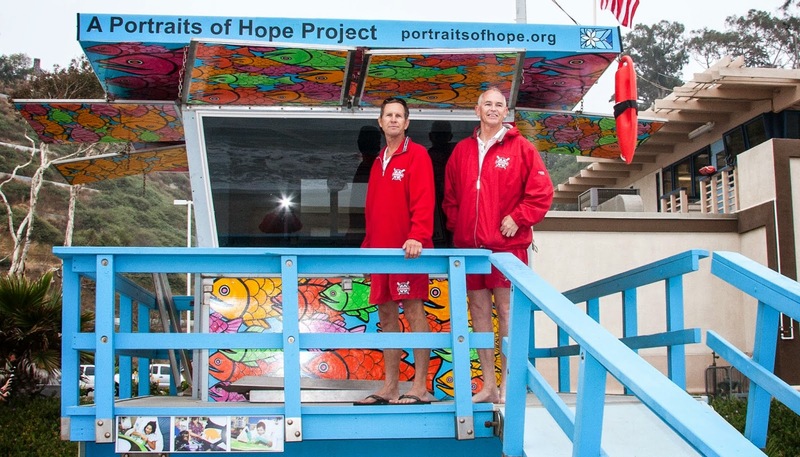 Harry Varnas, at left, and Ron Pearlman at the finish line in Santa Monica. Photo courtesy of Harry. 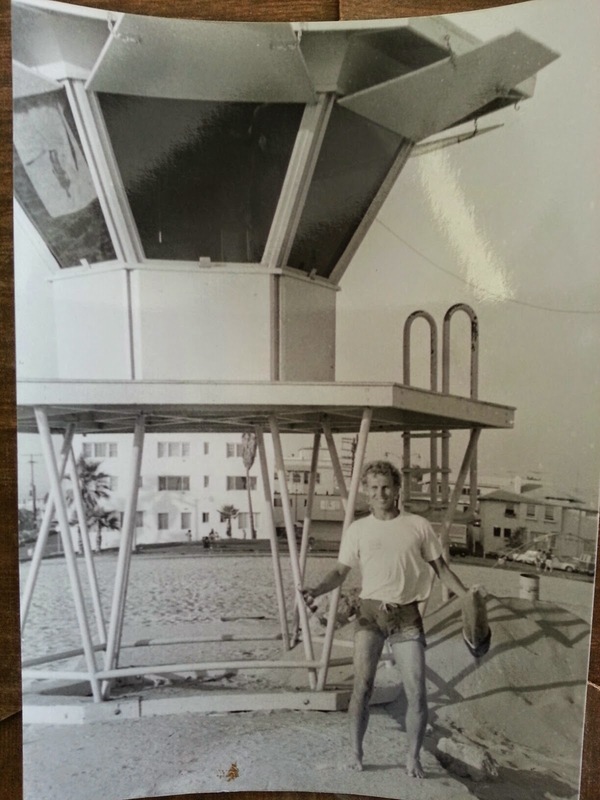 Below, Harry Varnas at the old style pagoda Brooks tower in Venice Beach... circa 1980. Photo courtesy of Harry. 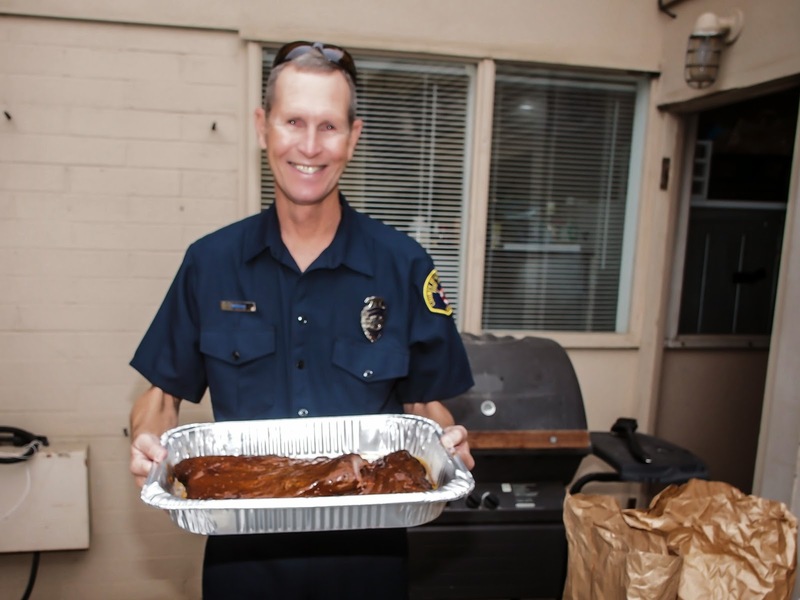 Harry holding OLS Pat O'Neill's famous ten pound BBQ Brisket. Harry's known for putting away large quantities of free grub and today was no exception. Photo courtesy of Harry. 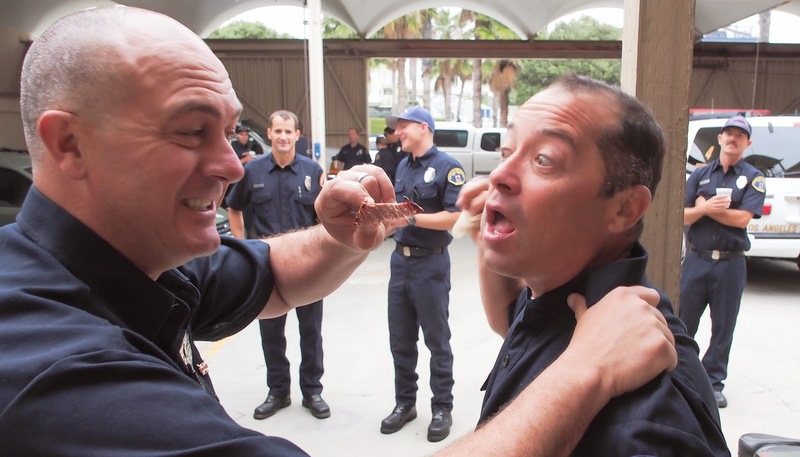 OLS Charlie Picarro welcomes OLS Cosmo Flynn to the vacant call car spot. Cosmo, who brags about his Vegan diet, refuses the offer of the Brisket but not the call car shift. Photo courtesy of Harry. 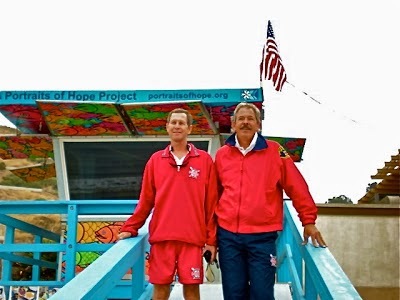 Two old lifeguards pose for the camera during the (2010) Summer of Color during the Will Rogers crew photo session at Tower #14. Photo courtesy of Harry. EMS/First Responders Staging Area on Wilshire Blvd. between Ocean Ave. and Second St.
Got Ice?!... At one point I heard a siren and saw a red LAFD pick up truck heading east on Wilshire with 3 firemen in the cab. About 20 minutes later they were heading back west towards Ocean Ave., with their siren on, and about 40 big bags of ice in the bed of the truck! Believe it or not... these are not aerial photos of Zuma Beach. The photographer, Adam Sandler (also a freelance correspondent with "County Recurrent"), assures us that all of these photos by him were taken on terra firma, albeit, from an undisclosed location up high and adjacent to Encinal Canyon. In any case, these photos are stunning and we would like to thank Adam very much for sharing them with all of us here. 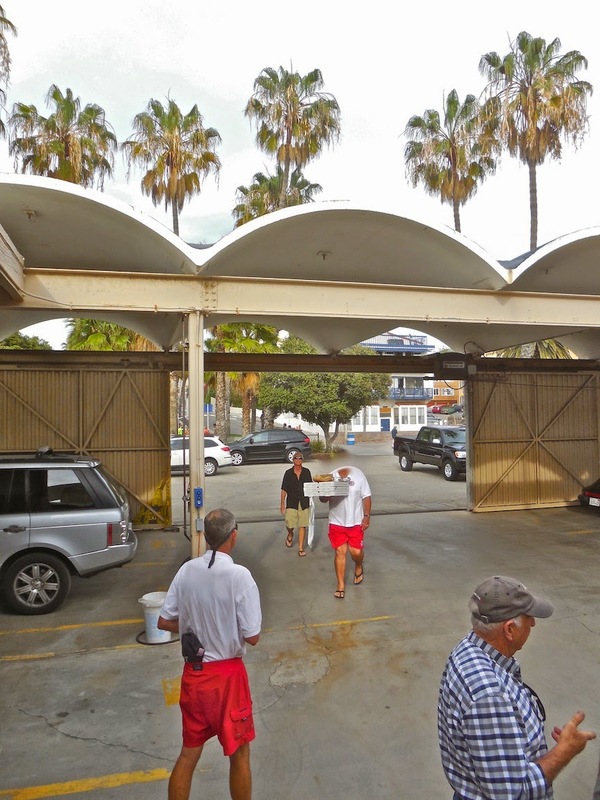 (All photos in this particular blog post, namely, "Zuma Beach: In the Camera's Eye..." are by & Copyright Adam Sandler 2015. Used here with permission).